Since early 2003, The Space Review has offered in depth articles and analysis about space policy, history, commercialization, technology, science, and related topics. Every week The Space Review publishes four to six articles on these topics, and hosts robust commentary about these articles that encourages readers to return. The Space Review is widely read throughout the space field, including government agencies, established and entrepreneurial companies, and others around the world interested in space. The Space Review is an ideal vehicle for reaching these key individuals in the space industry. The Space Review also offers text ads in its weekly email newsletter, which goes out to over 8,000 subscribers. Contact us for additional details about these ads. 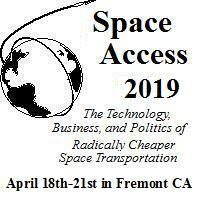 For more information, contact Jeff Foust at jeff@thespacereview.com.